TX Untitled - elegant portfolio website template for Joomla 2.5 from the design studio ThemeXpert. 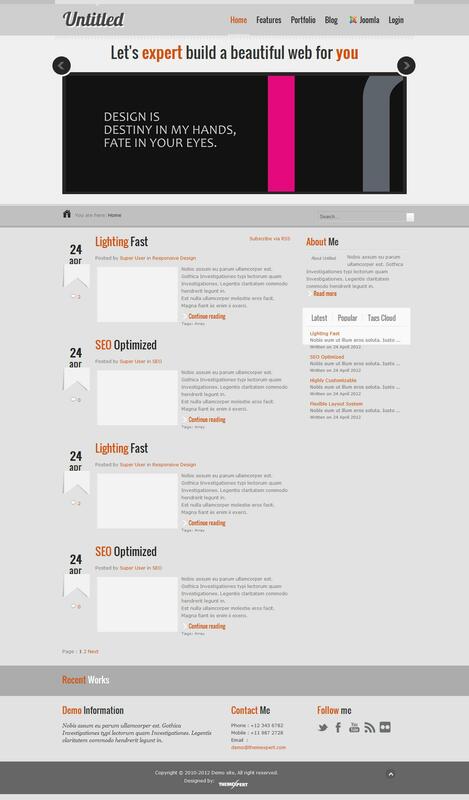 This template supports additional themes for popular components EasyBlog and K2, the corresponding design template. Design pattern is presented in 6 color schemes support an unlimited number of fonts. Modern platform Expose Framework, supporting standards and technologies HTML5 CSS3, provides a common template optimization, adds adaptive function, fast page loading speed and support for various mobile platforms.